There’s no doubt that data has the potential of becoming your most valuable marketing resource. The most successful marketers are already tracking their campaigns and collecting relevant data on a daily basis. This is because having the right information in your hands means that you can create scalable and repeatable marketing processes. In fact, data-driven marketing is revolutionizing online commerce as we speak. However, not every marketer has the expertise and experience necessary to work with data effectively. Read further to keep track of the recent trends and improve your data-driven marketing game. According to Financial Times lexicon, “data-driven marketing refers to the marketing insights and decisions that arise from the analysis of data about or from consumers”. Data-driven marketing in its core is a strategy that’s based on the analysis of big data, collected from consumer interactions and engagements. Implementing data-driven marketing means both understanding the data you already have and being aware of the data you can gather, as well as analyze and apply this data to improve your marketing efforts. In other words, it means translating the data insights into actionable decisions that benefit in optimizing marketing processes and answers the unique demands of audiences and consumers. Basically, you can collect data about every aspect of your user’s engagement, starting from demographics to individual interactions. Only when you fully understand who, what, where, when and why your consumers engage with your marketing efforts, you can become more successful. Data-driven marketing is popular and even growing in popularity due to its proven ability to maximize ROI. Further, it’s also proven to be helpful to maximize the efficiency of marketing efforts and can empower brands to implement a more customer-centric approach. 53% said that data has made them more consumer-centric. 75% have noticed a growing consumer engagement with data-driven marketing. Data-driven marketing leaders are 6 x more likely to gain competitive advantage and profitability. Two-thirds of the leaders admit their data-driven initiatives result in new customers. 92% of executives agree that integrated data across teams is helpful to provide relevant offers and interactions that drive improved customer service. 63% of marketers have admitted that their spending on data-driven marketing grew over the last year. 59% of marketers say that faster decisions are one of the benefits of using data. 80% of marketers agree that data is crucial to the deployment of advertising and marketing efforts. Personalized Marketing: Data-driven marketing enables companies to create the right messages to the right audience, at the right time. The in-depth understanding of customer profiles helps in creating customized campaigns that, in turn, are crucial to reach your audience in a more relevant way than one-size fits all messages. Improved Customer Experience: Data-driven marketing has proven to be effective to improve customer experiences. Data-driven campaigns allow you to look more closely at your customers and customer satisfaction surveys can help you understand where any improvements are needed. This way, instead of working on the overall experience, you can spend more time improving the specific aspects that are essential for your customers. Improved Product Development: Data-driven marketing is extremely helpful to minimize product failure rates. When you understand your target audience, also the products you develop become better-suited for the specific market. Efficient media buying: Data-driven marketing is surely beneficial for buying sector too. By using algorithms and machine learning, marketers can be sure about their media planning and buying. No longer you have to guess where your audience want to receive your content. Improved Funnel Efficiency: Data-driven marketing helps you to identify which content is moving buyers down the sales funnel and optimize campaigns accordingly. This can lead to better conversion rates and positive ROI. Effective Cross-Selling: Data-driven marketing provides you with valuable insights that are helpful to identify where your products can be sold to customers more frequently. Additionally, it helps you to identify the segments of your audience that would benefit from special and targeted campaigns that are created by deeply understanding their preferences and the products they enjoy. While using data to improve your marketing efforts is not a new thing, there are some recent developments and trends you should be aware of. 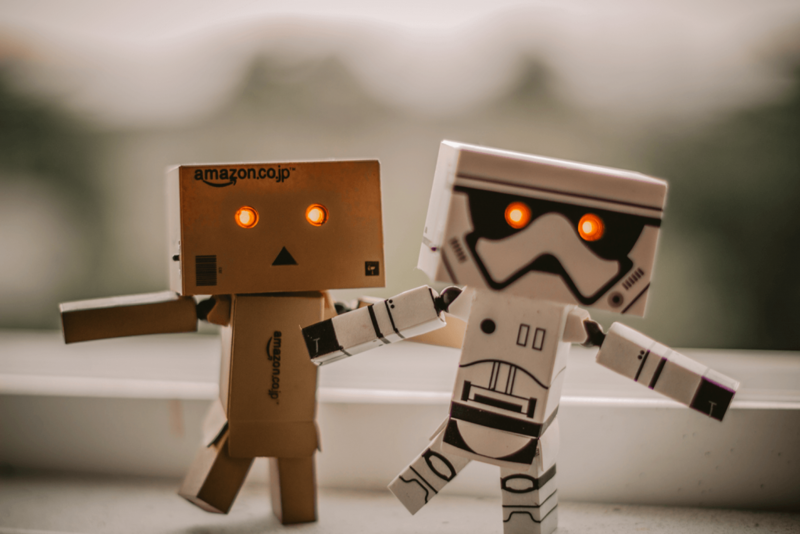 While the use of artificial intelligence (AI) in marketing is still in its initial phase, it looks like it will grow rapidly in the next few years. AI uses large amounts of data sources to create personalized campaigns tailored for individual customers. If you want to stay ahead of your competitors, don’t be scared to test new AI products and use the wide range of data assets you have to create precise AI algorithms. The marketing mix as we know it has been changed since the people-based marketing came along. It means that nowadays marketers can target and measure their customers at the level of real individuals. This means that brands can optimize their content more precisely which in turn increases the click-through rates and ROI. Therefore, this is the right time to take advantage of people-based marketing, combining digital and traditional marketing and analyzing audiences and their lifecycles even more in-depth than before. Nowadays, customers are more demanding than ever. They are using many platforms and expect that brands do so too. Moreover, they expect timely and relevant content. This means that providing excellent customer experience across different channels is more important than ever. In fact, you should start using new technologies to analyze previously hidden online interactions at an individual level. This will help you gain better insights and provide personalized experience across your communication channels. Another powerful aspect of data-driven marketing is the possibility to make accurate predictions. According to a Forrester study, 89% of marketers admit that predictive analytics will take an important place on their roadmap. Data can help you predict with great accuracy and have a peek at what your clients will do next. So don’t hesitate and record the interactions with your customers at a more granular level. This will help you not only to understand the past trends but also predict your customer’s future actions. These insights will definitely empower you to improve your current strategies and focus them on where your buyers are. What tools should you use to get data-insights? CrazyEgg offers heat map and scroll map reports. This tool is valuable to get an in-depth understanding of how your visitors engage with your website and the ways you can boost your conversion rates. Capsulink – an URL shortener that provides you with valuable audience insights. With this tool, you can not only shorten your links, but also explore your audience’s geographical location, referrers, and other valuable data for understanding how your content works online. MailChimp – a marketing automation platform which also serves as an email marketing service provider. Use this tool to get deeper insights into how your e-mail marketing campaigns are performing. Survey Anyplace – a valuable tool that will help you quickly create quizzes and surveys that, in turn, will provide you with essential data for your marketing strategies. Data-driven marketing: Who’s done it right? What a better way to come up with data-driven marketing ideas than learning from the best. There are thousands of examples of data-driven marketing out there. As a matter of fact, the majority of the marketing messages are driven by data-derived insights. Versace is a powerful example how using customer data and media buys wisely can lead to increased sales and ROI. When marketers at Versace realized that entry-level items like wallets and sunglasses make up most of the purchases, they wanted to improve their strategy to attract customers who buy larger items like clothing. Therefore, they analyzed and segmented company’s current customers. It helped them realize who the most valuable existing customers are. Furthermore, based on that they created a prospect model of look-alike best customers and used it for marketing campaigns to attract high-end shoppers. Needless to say that the campaign was successful and delivered a 35% increase in online sales and 300% average order value increase. The food delivery app GrubHub has valuable data about what, where and when people eat. The company uses it in a smart way – they mine the data and turn it into engaging content like quizzes, polls or contests. Moreover, the app cooperates with several publishers and often creates compelling native advertising that uses the data they gather in an original way. For instance, before U.S. Presidential election, GrubHub cooperated with Time Magazine and created a quiz together. The quiz was based on company’s data about the number of times each of 175 dishes was ordered in 214 congressional districts. 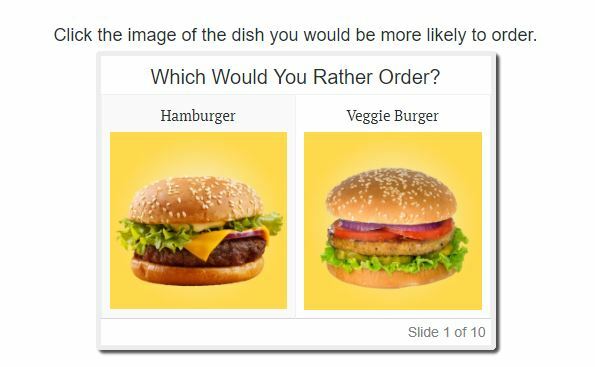 The quiz allowed to find out whether your dietary preferences were Democrat or Republican based on user data overlaid with voting/polling data for the same area. Cool, right? Spotify, the popular music app, is one of the best examples of data used right. The app uses listener’s data to create custom playlists that are based on each user’s individual listening activities, including time of the day, current season, etc. The way Spotify uses analytics to improve the user experience is definitely an example to learn from. Data-driven marketing is not new but it has definitely come a long way from just measuring cost-per-click and bounce rates. The availability of wide range of platforms, technology, tools and data sources, improving your marketing performance is easier than ever. Enhanced and personalized customer experience and other benefits data-driven marketing provides, makes it a winning strategy for any organization. 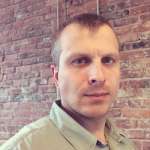 Alexander @Bickov is a Riga based product designer with over 15 years of UX design and digital marketing experience. In his work, he aims to connect people and products by using strategy, creativity and technology. Alexander has built digital services and products for organizations ranging from agencies, startups to large companies. His work is featured in the iOS App Store, Wall Street Journal, CNN, Business Insider, Forbes and Big Think.